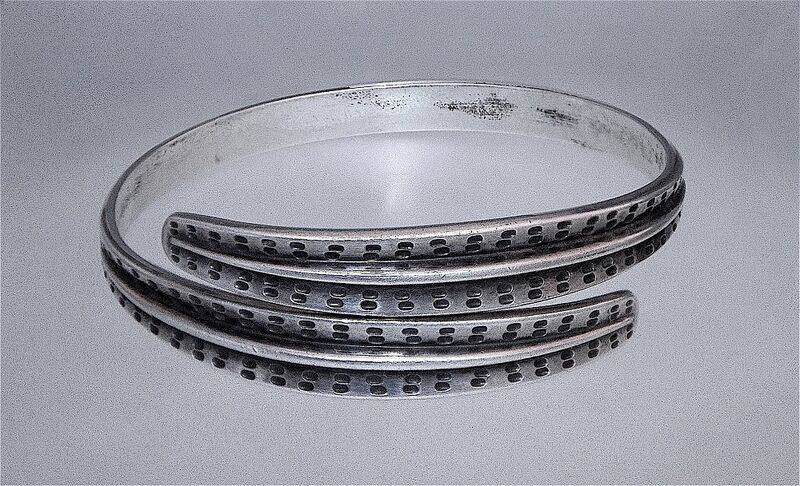 This is a very stylish silver crossover bangle by David-Andersen of Norway. The two crossover front sections are an elongated shape with a central rib and columns of double stipple marks on each side of the rib. A classic piece of David-Andersen silver jewellery from the "Saga" line that was produced in the 1960s. Signed "David-Andersen Norway Sterling S925"